For those of you who follow me on Instagram, you’ll know that there have been some tech-issues in the Threads household this week: Mr T’s laptops (yes, two of them!) have given up the ghost so he’s been stuck like a limpet to my (well, the ‘family’) iMac from early doors til late most evenings. Thus leaving me no scope to blog from home. I made an attempt to blog from my local library, but the 1 hour time limit and people gawping at what I was typing was all too stressy, so I had to miss out on my mid-week post this week. 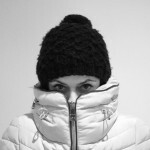 However… I prised Mr T off the mac for a short time on Fri night… just for long enough to bring you this week’s Sunday 7. Cute tie at the back! Anyway, there are some things you miss out on that you never quite get over… and this Anthro dress is one of those things for me. The Topshop Hybrid Dress is a good effort in what I’m looking for; and as much as I love the idea of it, I think I would prefer a more slouchy, dropped waist version. Which is why it ranks at just number 7 this week. Although… that cute tie-back… g’ah! Compiling this is truly devastating for my bank balance! Love a front tie waist! The second of 3 dresses which caught my eye this week. A tie-waist? Check. A shirt dress? Check. Half sleeves? Check. And in Navy you say? Perfecto! Well, *almost* perfect… I’m never super keen on a curved hem on my shirt dresses… it’s something to do with the Asian dress of ‘Shalwar & Chemise’ – you know the baggy trouser/dress ‘suit’ combo often donned by Pakistani ladies, where the dress part (chemise) has a curved hem (depending on hemline fashions of course). So wearing a curved hem shirt dress makes me feel like my bottom half is naked in a way that a straight hemmed shirt dress wouldn’t. 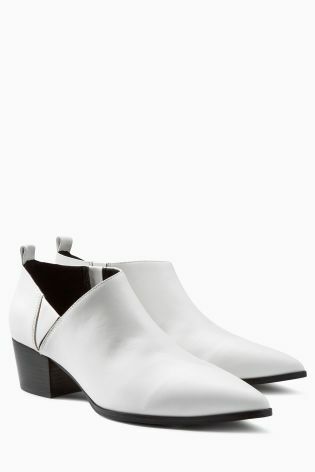 These keep popping up all over my Instagram feed and having been on the hunt for a pointy-white leather shoe for a while now, I am on the brink of ordering these. The only thing stopping me really is cost per wear – yeah, I know: they’re pretty good value already at £48, however, I just don’t know whether I’d wear them much. I really do love them though! When I grow up, please can I wear dresses like this one?! I have absolutely no reason to buy this dress, it’s probably not the best colour for me and if I did order it, no doubt the dress would require so many alterations, I may as well just ask a seamstress to make me the dress from scratch as it would be a much simpler job! Sadly, I have neither the height, nor lifestyle for this dress, but I’ve included it because it really is gorgeous. Who doesn’t love a good cactus print? 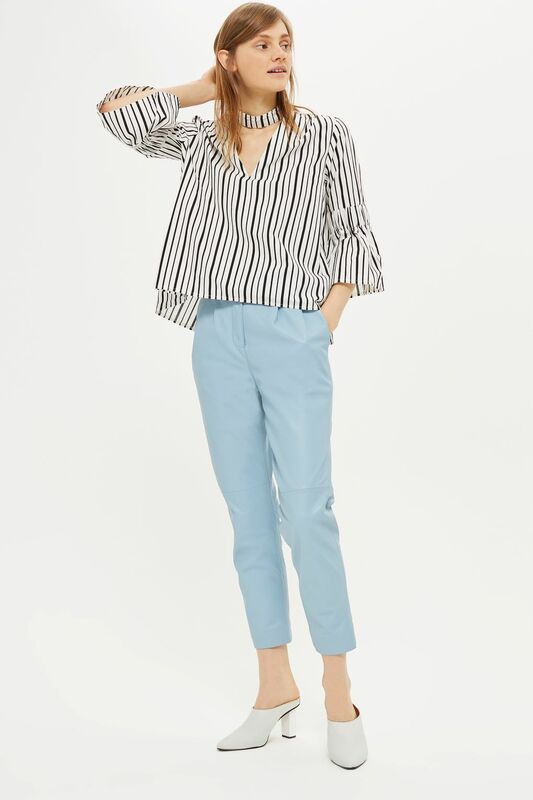 Picture this shirt with roughly rolled up sleeves, faded boyfriend jeans and some summer slides with sunnies in your hair as you have a kid-free mooch around the shops. Unfortunately I came across it too late as the XS is sold out. Such a pretty skirt, though unlike many other Boden items, this is only available in one length. But don’t let you put that off – there are a lot of maxi, floaty skirts out there for summer. And don’t let the Boden ‘mumsy’ styling put you off either, which I suppose, isn’t that mumsy per se, just a more grown-up look than my usual style! Picture the skirt, with some plain mules, or Birkenstocks (or white sneaks of course!) and simple vest top/singlet…. I think it could work in a casual way. 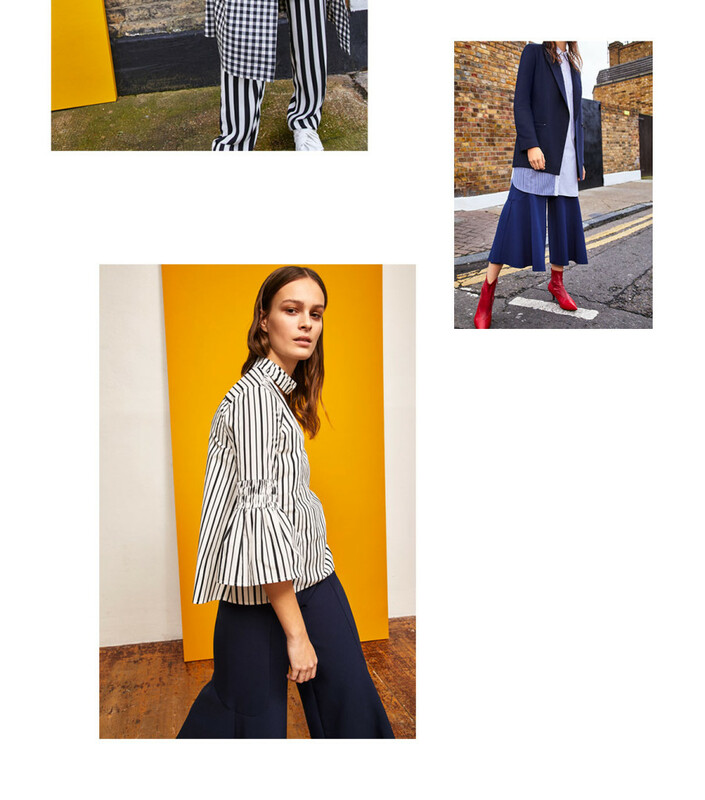 The skirt would be an investment piece and has versatility as it would easily work dressed up with a pointy heeled mule and simple evening top. The reason this isn’t my number one this week is a combination of the price & that it’s only available in the one length. I do think it could be shortened as there are two horizontal bands at the bottom of the skirt, and you could loose one I suppose… though the skirt wouldn’t be as aesthetically balanced. Obviously I will look this beautiful and cool in this t-shirt! I may have ordered this as a wee Mother’s day gift to myself as it’s just *the* perfect slogan tee. You’ve got to love the justifications of self-gifting… #anyexcuse, eh?! 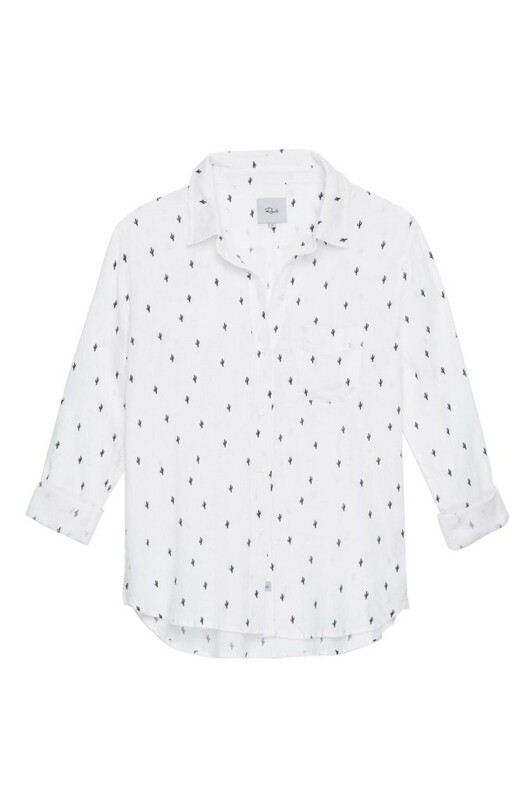 I missed out on the Sezane L’amant tee, I was just too late… but it’s been showing up all over my Insta-feed, driving me bonkers! 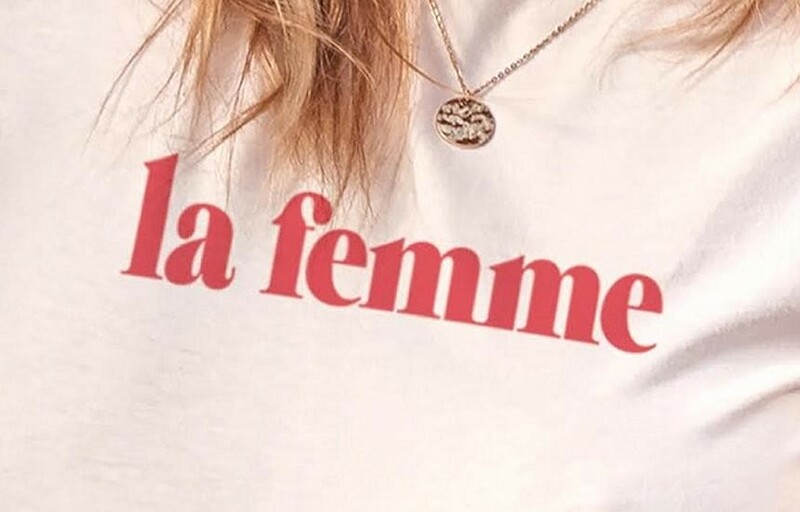 However, when I met the lovely Cover Mum at the Born at Dawn Launch Party the other week, she pointed me in the direction of this La Femme tee, and it was a done deal the second I laid eyes on it! If you fancy this tee, though pricey, go grab it quick as it seems to be selling out fast. So, that lovely looking trumpet sleeved striped top? … the open back? Too much! So it’s still an OK top, but the combination of the choker neckline at the front AND an open back… all of which when combined with the a-line/swing cut of the top and the trumpet sleeves… it’s all a bit much for me. I can appreciate others will like this, but it’s too fussy for my tastes. I was genuinely disappointed when I saw the ‘extra’ details of the top! It looks rather like a lampshade, right? Or perhaps like the skirt of one of those dolls people used to put in/over their loo rolls (which you most likely won’t remember if you are younger than 40!). But, I rather like it. This skirt I mean, not the loo roll dolls! I like that one of the tiers could be removed relatively easily and so adjusted to your desired length (if you’re a shorty like me). I like that it’s pink. And there’s just a lovely feminine, summery vibe about it. How would I wear it? Look 1: Summer Picnic – Some flat sandals, like these HM Dark Brown Sandals (£14.99) with the Sezanne La Femme tee (£40), vest top and perhaps this round La Redoute Straw bag (£29 – 25% off with code SPRING). Look 2: Summer Mooching – How about a slip-on sneaker mule, like these Vans Classic Slip-ons (£35.75) with this Warehouse Tie-Front top (£29) and a carry-all shopper like this simple La Redoute Natural Shopper (£65 – again 25% off with code SPRING). 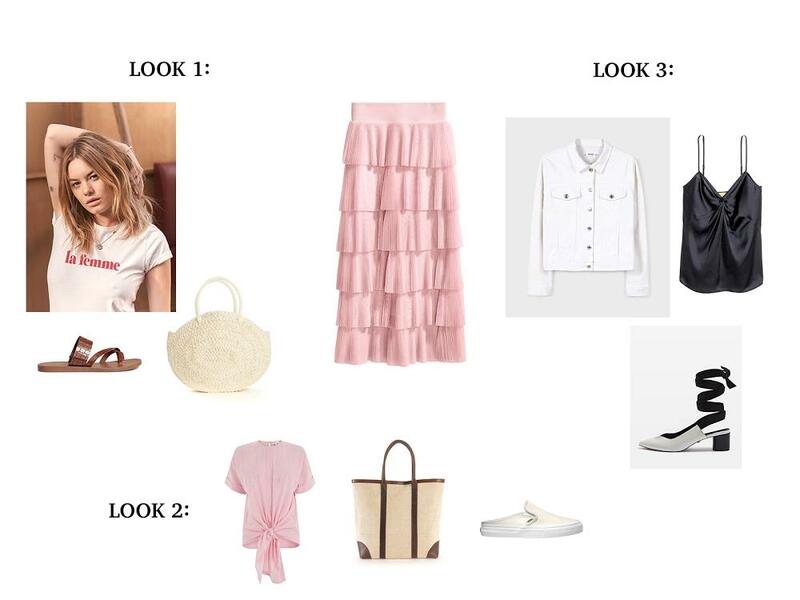 Look 3: Summer Night out – HM V-neck Strappy Top (£17.99), Topshop Jemima V-cut Shoes (£39) with a Mango White Denim Jacket (£35.99) – after all, it’s tricky to go out without a jacket altogether here, even in the summer! I think a little clutch with wrist strap would be great with this look, a metallic one, or zebra print… but I’ve gone for this Other Stories Patchwork Clutch (£65). And that’s it from me for this week – apologies if this reads as though I was rushed. I was! Hopefully, I can get a mid-week post out this week, and normal service will resume.